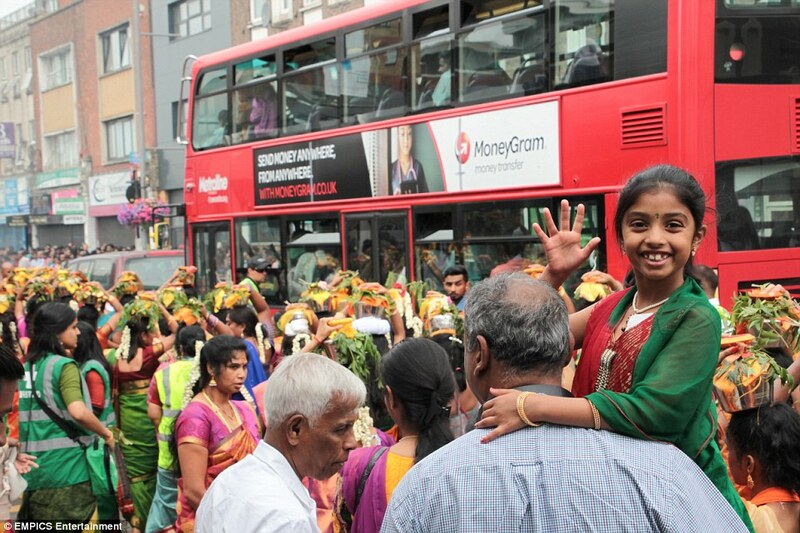 Thousands of people flocked to London for one of the most colourful events of the calendar year. 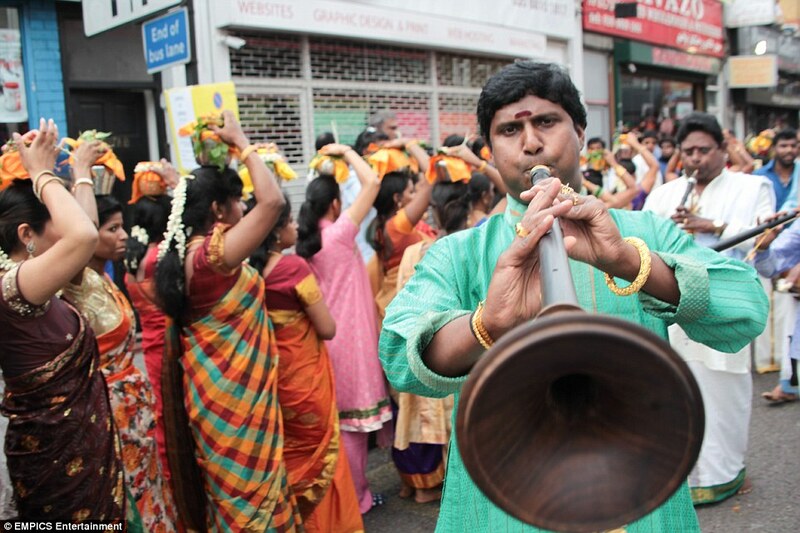 The annual festival saw a celebration of Hindu culture take over west Ealing, culminating in a chariot procession through the London borough. It is one of the biggest events of the year in the area with around 10,000 thought to have attended from all over Europe. 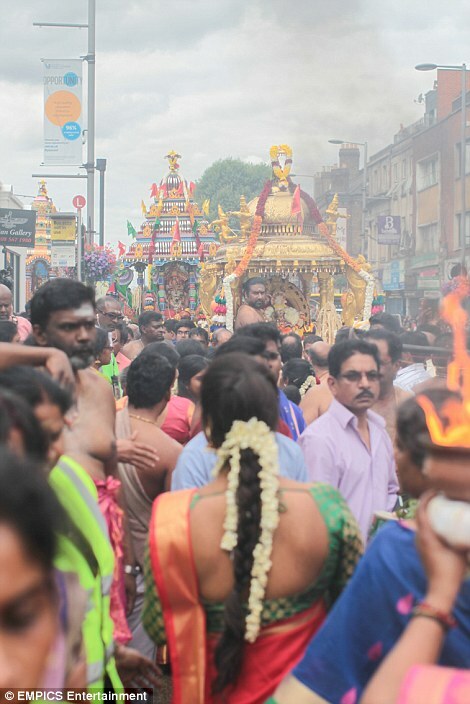 Organised by the Shri Kanagathurkkai Amman Temple, the festival commemorates the legend of the Hindu god of war, Murugan, and his defeat of the demon Soorapadam using a ‘divine spear’ known as a vel. 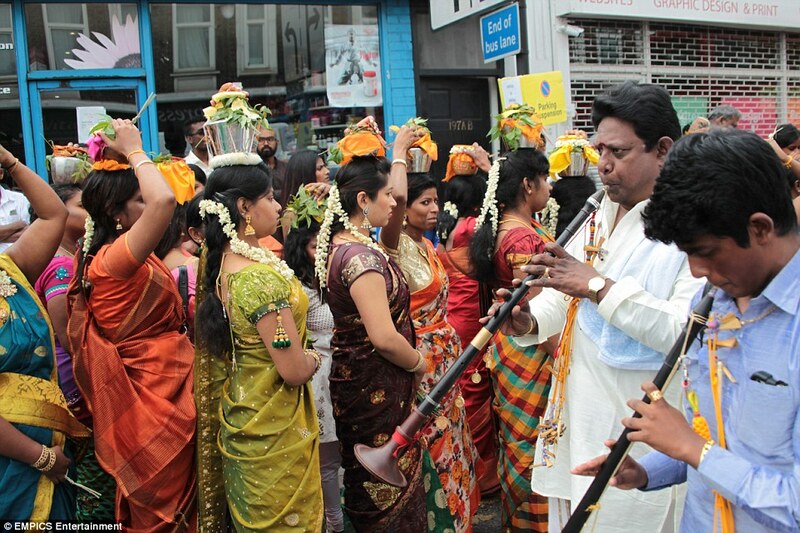 Those taking part in the festival offer up a sign of devotion to Murugan, whether it be as simple as carrying a pot of milk on their heads, or piercing their skin with vels. 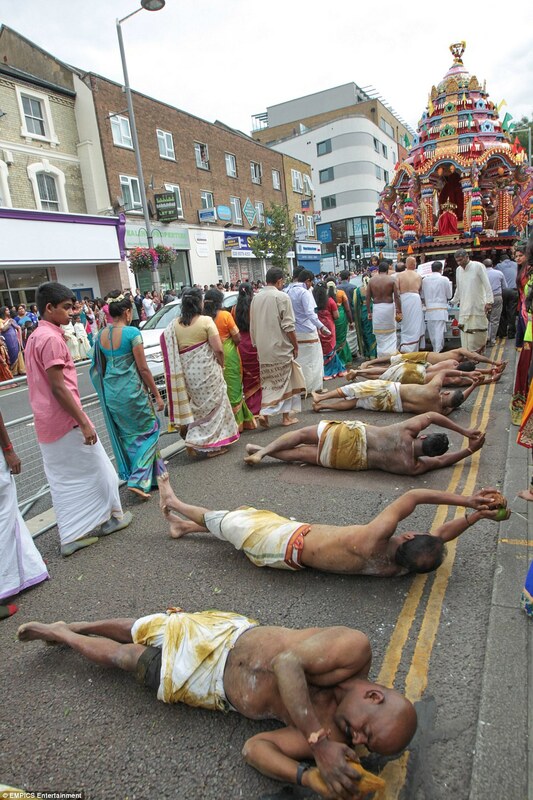 Other devotees rolled their bodies along the road surface as their act of devotion despite only wearing a short robe around their waist. 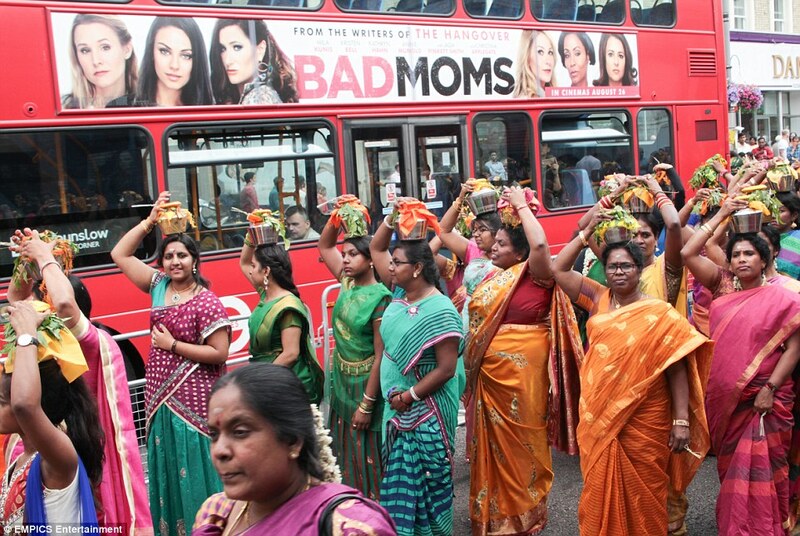 Wearing traditional dress, scores of women marched through the streets carrying pots on their heads while musicians played alongside them. 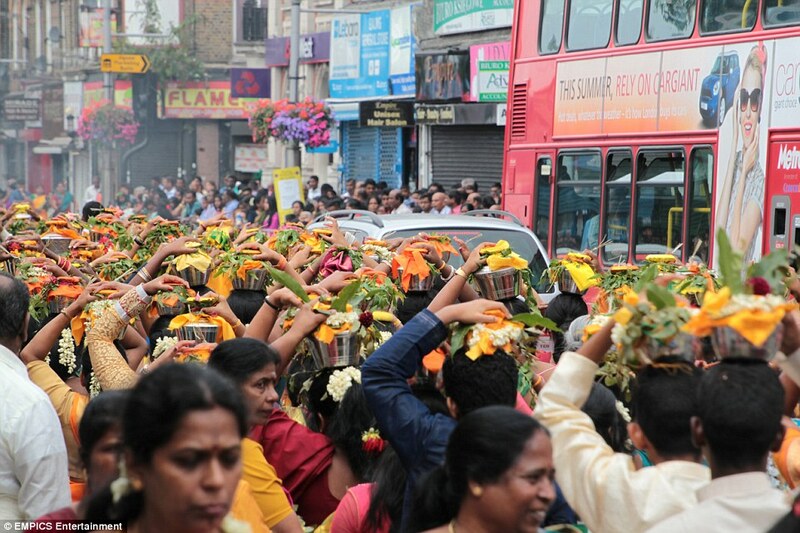 But it was the brightly-decorated chariots, propped up by members of the community, that were the biggest draw. Bric-a-brac stalls and ethnic food stands were also run alongside the festival to raise funds for the temple’s projects.